In the field of foundry technology, the term mold erosion (from the Latin erodere, meaning “to eat away”) refers to the erosive (abrasive) wear of permanent metal molds. 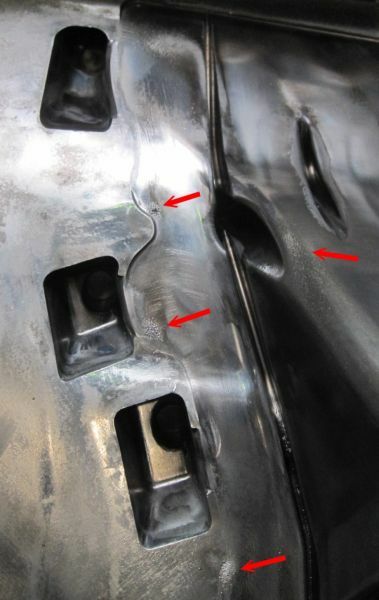 Erosive mold wear means the continued material loss at the mold surface due to the contact and relative movement between the mold surface and the incoming melt. In addition to thermal damage to the mold, local surface abrasion of the die casting molds also plays an important role for the service life. The highest stresses mainly occur in the vicinity of the gate at the contour areas which are in direct contact with the flowing melt, resulting in increasing surface roughness. These tribological stresses on the mold are even further intensified by the abrasive effect of the silicon contained in almost all aluminum alloys and of oxides and intermetallic phases. The resulting damage to the mold surface is called erosion. The rough surfaces caused by this erosion exhibit an increased propensity to soldering. In addition to the mold filling quality, the gate is critical for erosion in die casting molds. Here, weld spots at the walls of the mold cavity should also be prevented. Sharp edges, as they appear on core and ejector pins, for example, are inevitable and are particularly prone to wear. Turbulences and cavitation also promotes wear and should therefore be avoided. Adhesion, soldering, corrosion and warm cracks increase with a rising mold temperature, while the erosion temperature decreases with a falling mold temperature. Concerning adhesion, the chemical reaction rate rising together with the temperature is essential. Erosion, on the other hand, rather depends on viscosity or the fraction of the melt which has already changed to the pasty state. The resistance of the die casting mold to the impact pressure depends on the strength of the hot-forming steel. At an assumed melt temperature of 570Â°C to 600Â°C, the hot-forming steel 1.2343 has a strength of approx 600–820 MPa depending on its hardness (Fig. 2). 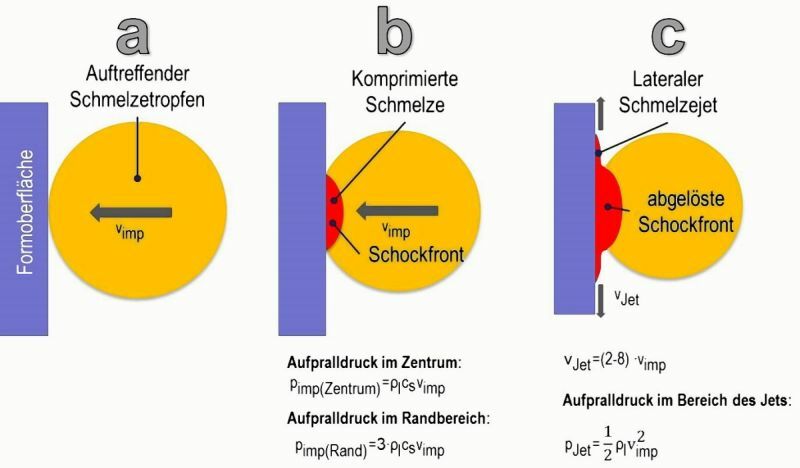 Especially in areas of low mold hardness and high gate speeds, the stresses caused by the impact pressures can be greater than the yield strength of 1.2343. However, it can generally be assumed that damage due to impact erosion is low compared to other damage mechanisms such as soldering, even though it is not negligible even at high casting temperatures and very high gate speeds. 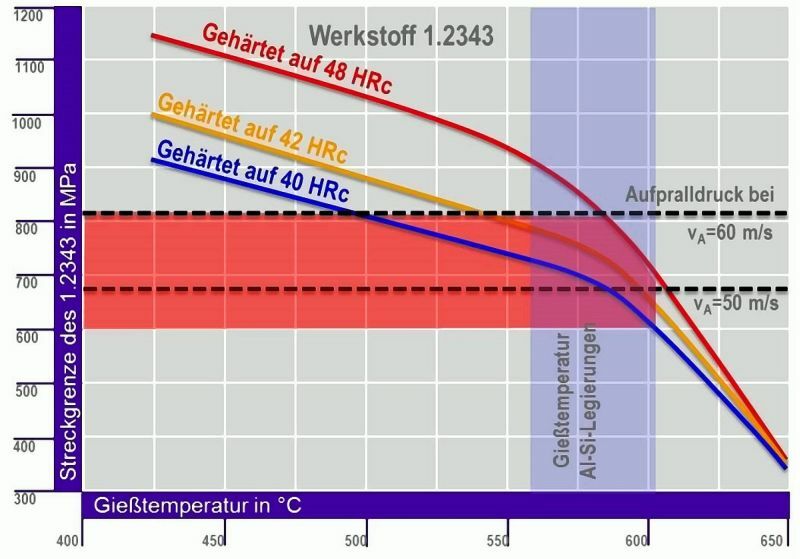 Therefore, at a high melt temperature and speeds of > 60 m/s, significant damage due to impact erosion must be expected after several thousand cycles and a long incubation time. As can also be seen in Fig. 3, the hardness of a hot-forming steel held at a high temperature for 100h is close to the hardness range of the pre-solidified silicon particles, however, this does not mean that the erosion can be completely attributed to the influence of Si particles. The extent to which pre-solidified primary aluminum solid solutions support this type of erosion as soft particles of the same species has not yet been adequately explained and is doubtful, especially since the hardness of the α-Al particles is approx. 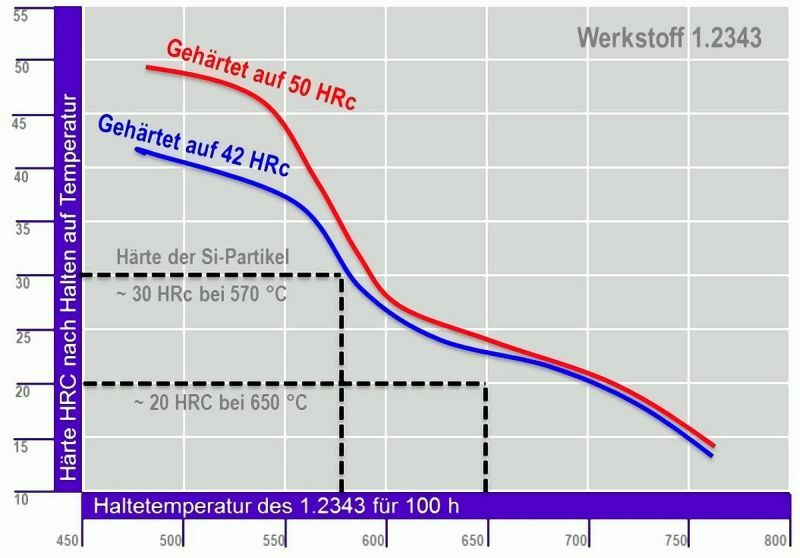 10 times lower (~20 HV) than that of hot-forming steel (> 30 HV, ~ 30 HRC). However, the long-term effect of hard particles has also not been completely clarified yet. Cavitation is a result of the formation and subsequent collapse of blisters in the mold due to local differences in pressure. Both Preece and Hansson state in their studies that cavitation and gas blisters can occur when the vapor pressure of the melt is exceeded in areas of intense baffles or in the flow shadow behind cores and edges. The die casting professional knows cavitation defects in the area of these sites inside the cavity, even though there are no confirmed studies up to now. It can be concluded that all 3 erosion mechanisms – impact erosion, particle erosion and cavitation erosion – damage the die casting mold in the course of its lifetime, the predominant mechanism depending on the given geometry, velocities, alloy and time. 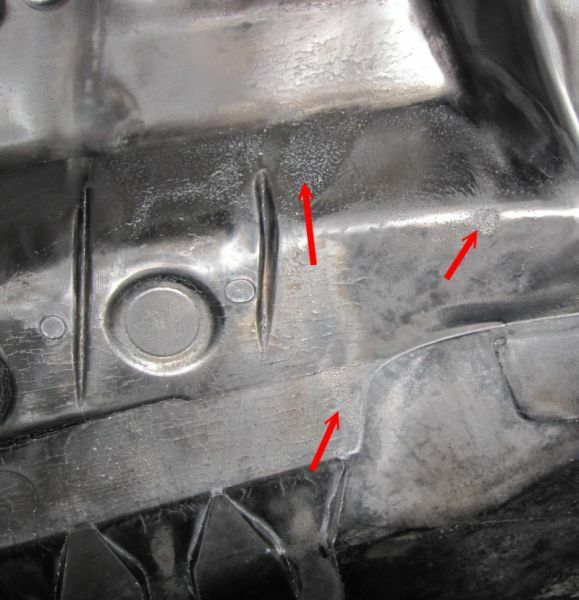 Examples of erosion defects on die casting molds are shown in Figs. 4 and 5. Chen Z. W., Jahedi M. Z., Die erosion and its effect on soldering formation in high pressure die casting of aluminium alloys, Materials and design 20 (1999), p. 303-309. Preece C. M., Erosion treaties of materials science and technology, Preece C. M., New York Academic Press, 1979, p. 249-308. Hansson C. M., ASM Handbook, Vol. 19, 1992, ASM International, p. 214-220. Venkatesan K., Shivpuri R.: An investigation of the effect of process parameters on the washout in die casting dies, 18th international Die Casting Congress and Exposition, Indianapolis, USA (1995), p. 361-371.